I have a lift pin to come out of left lift arm with boom mower about a month ago causing damage to left fender. I felt certain there was clip pins in the lift pin but had never had one if installed properly to come out. Well yesterday hooked back up the cutter and had son in law to verify clips pins are in all the way (pushed in to the looped end). About an hour use looked and both clip pins were missing from the same lift arm pin. Replaced them and in about half hour one of those was out. The two that came out were found laying on ground within two feet. Have never had a clip pin to come out if pushed full to the looped end and have no idea what is causing this to happen. Do not see any way it could happen. The boom mower is heavy on the right arm and it is the left arm this is happening with. The only safe way to pin that arm to me is use bolt with locking nut on it. Any idea what is causing the clip pins to come out? There is motion on the left side that is up and down. there may be something that is moving close to the pin that is snagging the retaining loop. Arcwelder, I think you are correct the left lift arm does have up and down movement with the weight balance as the cutter head moves in or out. But that must be very limited for the pin fits the hole in the lift arm. How it could pull the pin say a few thousands of an inch and then hold it in place to gain another hold to pull a few more thousands I do not grasp. If it were a category 1 pin in a category 2 lift arm hole could believe it might happen for a good bit of movement. Your idea of movement does have merit. Just hard to believe for me it could be enough to grab a pin that is free swinging and get it aligned and then work it out. I did say the lift arm pin had clip pins in each end and they both came out and landed on the ground within 2 feet of each other or meant to. I do appreciate the idea. If that is how it is happens then getting cutter better balanced with help with that. What type of lift pin retainers do you have best success with? I am not sure of the question. So if this isn't what you are looking for, then I may not have understood. I use straight pins for the lifts. I use the lock pins with the circle retainer that flips out on for the lock holes. I have had grass, hay and sticks and loose wires snag the circle and pull the lock pins out. I never use the pins with the detent buttons. they can get pulled out even easier. You got what I was asking for. 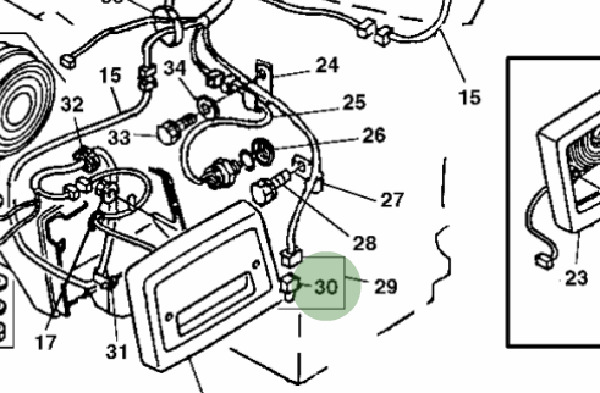 Mechanic suggest going to lift pin that allows the use of the pins with the flip circle over the straight hair pin type. I thought about using the lift pin that allows that type of pin and using a key lock. Felt safest option I knew. I always replace anything that uses a hairpin if I can. trailer hitch pins, I drill out the hole to 1/4 inch and get the matching flip circle lock pin. I use the linch pins. They can weaken over time, and I replace if I think not up to par. I haven't lost a linch pin, but I have lost the hair pin before. They do make linch pins with a key chain also. I had lost hair pins before if just pushed in to the first notch but never if pushed all the way on to where they were in the looped end. Still amazes me and to have it happen three times on the same implement and tractor combo fells strange. Only thing that makes any sense to me is the load on the cutter is way heavy on the right arm and the left arm can be doing some up and down and that is the arm the pins came out of. Working to place counter weight on the left end to prevent that rocking motion but am not using hair pins for such a load again. Really thinking about bolts with lock nuts or even locks. The counter balance should help and will be easier on your equipment. I can see movement and a little pressure against the hair pin possibly removing it, but I don't think you'll have that with the linch pin. I have had hair pins bend and come out so I mostly use linch pins. I personally would try a good linch pin before going to a bolt. I haven't lost one yet, but I do replace them if they feel the least bit weak.